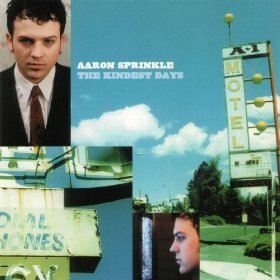 Aaron Sprinkle has been making music since he was in 6th grade. Aaron was not only musically gifted, but also had the faith and drive to make it happen. As a sophomore in high school, Aaron got together with his friends, fellow music enthusiasts Nick and Scott, and formed a band they called "Bellbangvilla," and were good enough to play in various gigs all over Seattle, Washington. These focused, energetic teens wrote and made their own CD, IN LOVE WITH THE GREENERY, which they probably sold at their performances. Aaron's brother, Jesse decided to join their band, and they then changed the name to Poor Old Lu, inspired by a sibling exchange between the youngest sister,Lucy, known as Lu, and her snarky middle brother, Peter from the book by C.S. Lewis, THE LION, THE WITCH AND THE WARDROBE. When Lucy returns from Narnia, she tells her brother, and he doesn't believe her. "Poor old Lu, hiding and nobody noticed." Poor Old Lu continued with perseverance in creating music and recording their original songs themselves. 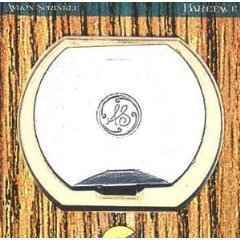 Not letting any grass grow under their feet, Poor Old Lu recorded this first album, Three Song Demo. In 1992, they made their first full length album,STAR-STUDDED-SUPER-STEP, recording it in an empty classroom of their church. After graduating from high school, Poor Old Lu paid their dues, playing more gigs around Seattle, to bigger audiences, gaining both a following and praise as a talented, young Christian band who performs original music that has meaningful lyrical messages, outreaching to many seekers and believers. In 1993, Poor Old Lu's album, STAR-STUDDED-SUPER-STEP was given by Aaron and Jesse's father to people in the music business, who in turn gave it to a mover and shaker at Frontline /Alarma Records. This record label professionally recorded Poor Old Lu's next album, MINDSIZE, which proved to be the album that was noticed and appreciated by a large audience, giving them a big jump start into the realm of the music business. Their next series of albums showcased their transformation into a harder rock band, with an edgier and more "raw" sound. Aaron and Jesse certainly stepped out in faith, in obedience to their calling, and wrote about subjects not normally covered in the accepted norm for Christian music at the time. Themes were brave, exploring such areas as hypocritical televangelists, drug addiction, guilt from sexual sin, domestic violence and rebellion against the Lord. Such albums as SIN, STRAIGHT SIX, & A PICTURE OF THE EIGHTH WONDER offered something of deeper spiritual value for their fans and hard rock enthusiasts. After 6-7 years, a great run for a band, they decided to disband in 1996. 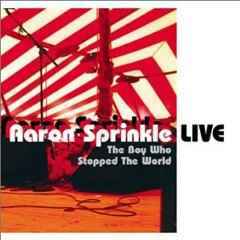 The Sprinkler brothers and other members all went their separate ways, but released in 1998 a two set CD of the recording of their final concert for their adoring fans, IN THEIR FINAL PERFORMANCE. In 2002, members of Poor Old Lu got together one more time to record THE WAITING ROOM, under the Tooth and Nails label, and also did some selected concerts around Seattle and performed at some Christian Music Festivals, such as CORNERSTONE. 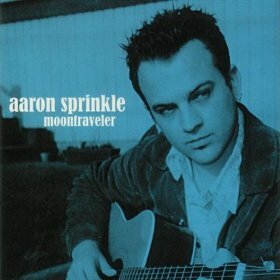 From 1999-2004, Aaron enjoyed a solo career, recording 6 albums, finding success. 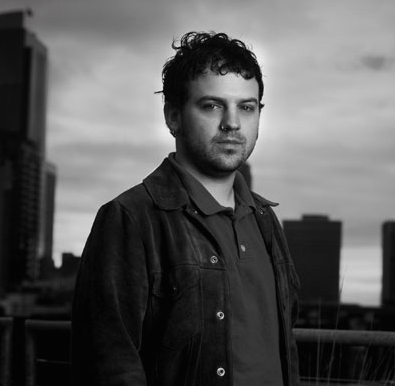 In 2005, Aaron formed the band, FAIR, and released an album in 2006 under the Tooth and Nail label, THE BEST-WORSE CASE SCENARIO. Aaron also operates Compound Recording Studios, producing albums for other bands, sharing his wealth of experience and musical insight with young artists. Aaron creates the best production values in making albums for such bands as Kutless, Pedro The Lion, Anberlin, and Dead Poetic, striving to truly reflect their musical talent and gifts, and messages in their music. Aaron also enjoys and values time with his family, living a balanced life between music and the people he loves; pleasing the Lord whom he has remained faithful to throughout his life. 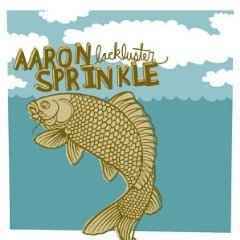 Album AARON "LACKLUSTER" SPRINKLE - This 2007 release showcases "Aaron's amazing gift for songwriting in its purest form."